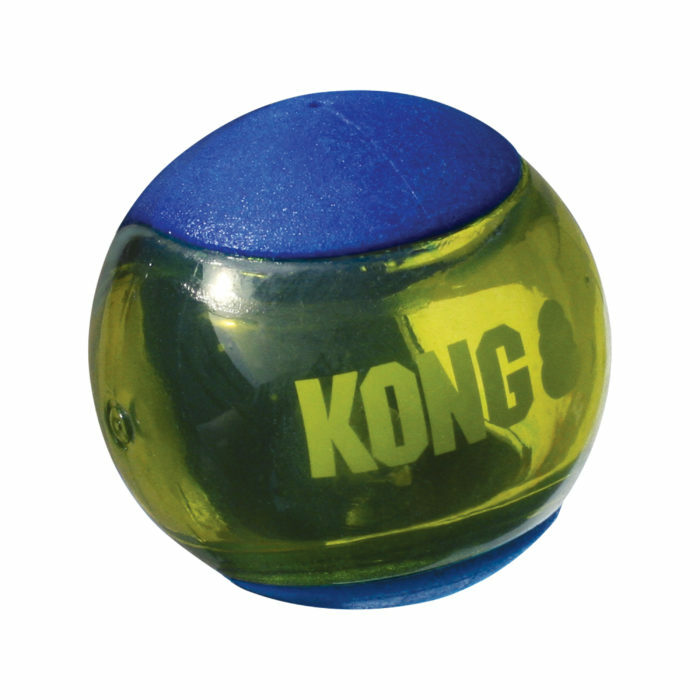 Dogs love chasing after the wild bounce that comes from the new Kong Squeezz Action balls. They are vibrant, multi-textured, grippy balls - great for chewing and chomping with each squeeze, delighting dogs from the added squeakers safely embedded within the toy. - Vibrant colored, multi-textured fetch toy for engaging fun. - Entertaining bounce and roll for interactive play sessions. - Squeaker for added excitement. Pack of two large Squeez Action balls.